Jimmy Buffett continues to help educate people around the globe about manatees and the threats to their long-term survival. Note: A high resolution manatee image, as well as a photo of Jimmy Buffett, are available upon request. Renowned singer/songwriter Jimmy Buffett has given a big boost to public awareness for manatees by recording a new TV and radio public service announcement, which also recognize Save the Manatee Club’s milestone 35th Anniversary of protecting endangered manatees and their imperiled aquatic habitat. The Club, a nonprofit conservation and manatee welfare organization, is currently distributing the new PSAs to the media nationwide. Buffett has recorded a variety of public service messages over the years for Save the Manatee Club. The new message, directed at Florida’s 20 million residents and the many tourists who visit the Sunshine State, encourages the public to get more involved. “Let’s work together to safeguard manatees and the waters they inhabit,” Buffett urges. The new Jimmy Buffett 35th Anniversary public service announcement for Save the Manatee Club (30 seconds). Buffett, and former Governor of Florida and U.S. Senator Bob Graham, started Save the Manatee Club back in 1981. The story goes that backstage at one of his concerts, Buffett met Graham who was then Florida’s governor, and the two men shared their mutual concern for manatees. That led to the establishment of the Save the Manatee Committee, comprised of leaders from business and government who were also concerned about the manatee’s fate. The purpose of the committee, with Buffett at the helm, was to raise public awareness about the presence of manatees in Florida’s waters and about what was threatening the species’ survival. Save the Manatee Club was started shortly after that to get the public involved in manatee and aquatic habitat conservation efforts. The Club’s mission is to protect endangered manatees and their aquatic habitat for future generations by educating and raising public awareness; conducting research and sponsoring rescue, rehabilitation, and release efforts; supporting land acquisition and promoting aquatic habitat protection; advocating for improved protection measures; and assisting education and conservation efforts in other countries where manatees live. Watch a video and read about the Club’s extensive conservation efforts at savethemanatee.org/smcinfo. Collisions with watercraft continue to be the leading cause of manatee deaths in Florida, when a cause of death can be determined. According to statistics from the Florida Fish and Wildlife Conservation Commission, the number of watercraft-related manatee deaths has been climbing steadily since January and 2016 will likely be a record year. The current record was set in 2009 when 97 manatees were killed in Florida by boats. Huge algal blooms in parts of Florida are wreaking havoc on aquatic ecosystems. Blooms shade and kill seagrass, which is the manatee’s primary food source and habitat for a wide variety of fish and shellfish. 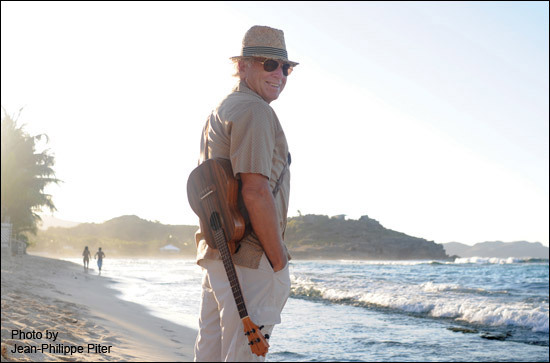 To view the new Jimmy Buffett TV spot or to listen to the audio spot, visit the Club’s website. TV stations: Choose a format that best suits your station’s needs. Radio stations: An MP3 of the new Jimmy Buffett PSA is also available. Both TV and radio stations can easily access the new PSA on the Club’s download site. If you are interested in obtaining copies to air on television or radio, please contact Janice Nearing at jnearing@savethemanatee.org. Learn more about manatees and the Adopt-A-Manatee® program by contacting Save the Manatee Club at 500 N. Maitland Ave., Maitland, FL 32751, by calling toll free at 1-800-432-JOIN (5646), or by checking out their web site at savethemanatee.org.